To all the foodies who look forward to their holidays to eat what they want and when they want and truly experience the place’s culture through food, we are with you! 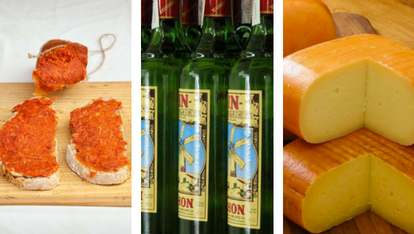 Menorca’s gastronomical offerings have grown throughout the years thanks to occupations of various foreign powers and the cuisine has developed into what is now rich and diverse. One of our personal favourites, gin! Thousands of British troops were stationed in Menorca during the 18th century and they were unable to get their favourite tipple in the local taverns and there were no other alternatives that made the cut so they taught the Menorcans how to make Gin. The Xoriguer distillery, located on Mao harbour, continues to distil gin using traditional methods, wood-fired copper stills and the ancient recipe plus a secret blend of aromatic herbs, which creates its distinctive flavour. Enjoy some Xoriguer straight or with some bitter lemon to make Pomada – the ‘fiesta drink’! 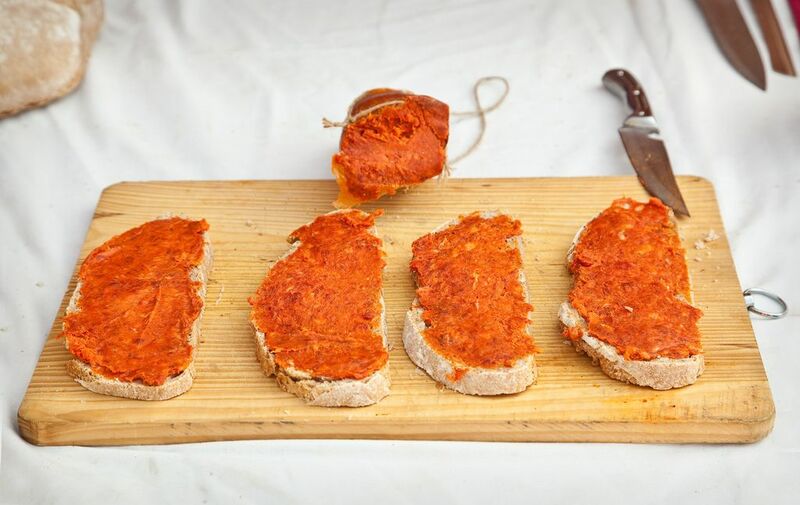 Sobrasada is perhaps the best known delicious spread which is popularly had on toast with a drizzle of honey. You’ll find in almost all traditional Menorcan restaurants on the island (don’t miss out!) Made from minced pork with lots of paprika, it has a rich red colour and a paste-like consistency. Also look out for cuixot, a black pudding-type sausage flavoured with fennel-yum! Who doesn’t love cheese? During the British occupation, Governor Kane introduced the black and white cows still commonly seen today and cheese makers switched from sheep to cow’s milk producing a cheese now exported internationally. In 1985 Mahon cheese was awarded its own Denominación de origen, in recognition for its quality. 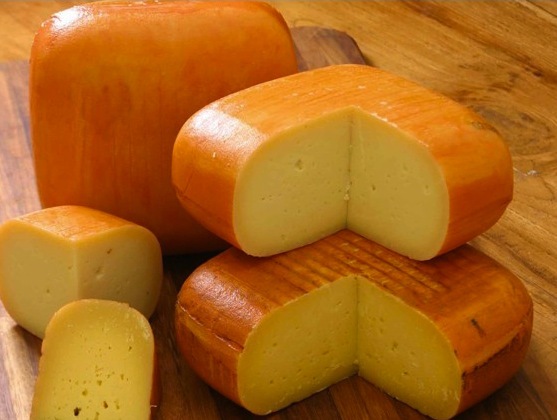 A regulatory council ensures that every cheese produced exhibits the characteristic flavour and aroma of Mahon Cheese, with hints of butter and hazelnuts. Most people assume that mayonnaise comes from France (especially the French) but in Menorca, the locals will tell you their own origin story. It was in the mid-1700s that mayonnaise (‘Mahon-aise’) emerged in Menorca. The French had laid siege to the island and Duke Richelieu who was in charge enjoyed his food. It was the chef who brought the mayonnaise to him, and that’s how the idea was brought to France. 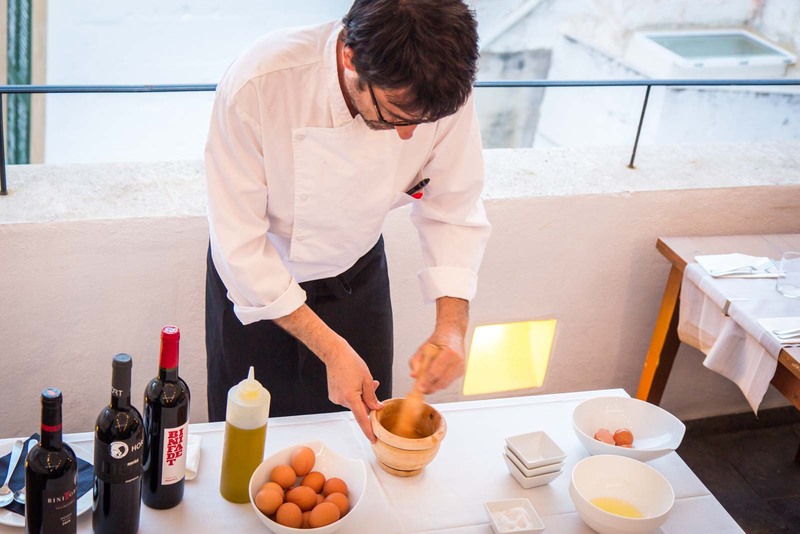 Mayonnaise is often served with meals in Menorca and complements the food well!